Last month, I was invited by the Dominican Republic’s Tourism Board to explore the colonial streets of Santo Doming and a few off beaten paths through its – wait for it… – Food scene! The enticing invitation also included merengue classes – more of that later – and culinary tours. Hmmm yes, please! And so, I embarked on a foodie adventure scouting for Dominican Republic famous food a la Anthony Bourdain: Parts Unknown – or at least, I’d like to think so. So, what’s the Dominican Republic Traditional food? Like many Hispanic countries, the Dominican Republic cuisine is a mix of indigenous (mainly Tainos), Africans, and Spanish culture but with added sazon – The Spanish word for UMAMI. The Dominicans have welcomed many immigrants from around the world and with that, their food and flavors. The Dominicans love their meat but fear not my vegetarian friends; I got you covered as well! The Dominican Republic is blessed with fertile soil which means, fresh fruits everywhere you go! Load up on vitamin C and enjoy as many fresh fruits as possible. The local specialty is the passion fruit or how Dominicans call it, Chinola. Every place I went, I made sure to order Chinola or other fresh juices. Many local establishments also prepare fruit smoothies, be it with milk, condensed milk, or ice. 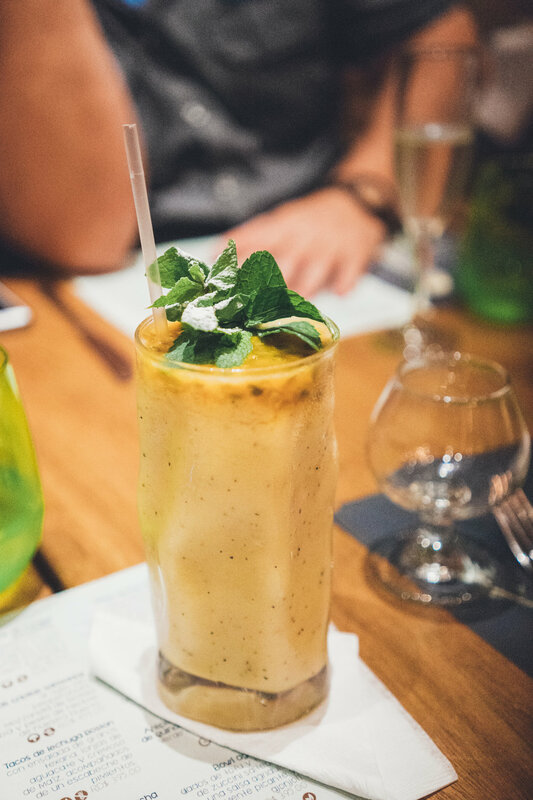 If you want to try something different, go for a Mamey Sapote juice or smoothie. It’s a delicious fruit but hard to find in the U.S. If you can get your hands on níspero – very similar fruit to Mamey – definitely try it! You can thank me later. Coconut water fan? Rejoice, because they sell it on the street, on the beach, near the park, in the plaza, everywhere! So go on, grab a refreshing coco and load up on those electrolytes. 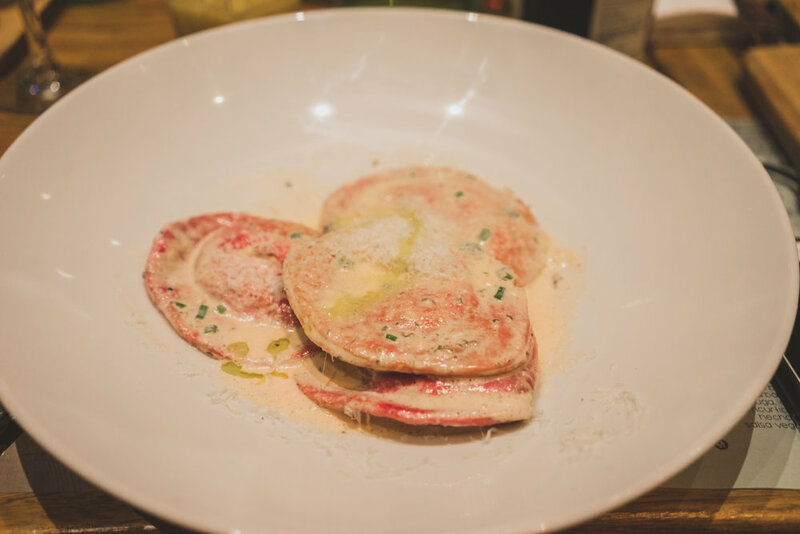 The Quipe is one of the best examples of food introduced by immigrants and adopted by locals. The savory snack is the Dominican version of the Middle Eastern kibbeh. Originally brought by a wave of Lebanese immigrants in the 19thcentury. The quipe – made with wheat, minced onion, ground beef, and deep-fried – is now a Dominican food staple that you must try while in the Caribbean country. Sancocho is for the Dominicans what mom’s chicken soup is for the Americans. There is nothing that says family time like Sunday at home with the loved ones cooking and eating sancocho. It’s also traditional to make Sancocho during rainy days and after a big celebration – to cure the dreaded hangover, because of course, Dominicans like to celebrate big. 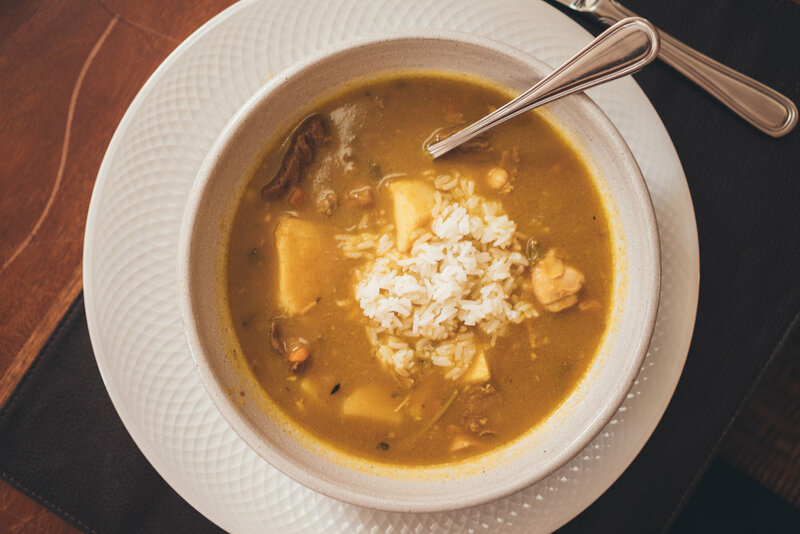 The traditional soup can be found all over Hispanics countries, but of course, Sancocho in the Dominican Republic is different. The Dominican version is a stew made with a variety of meats, like pork, chicken, and beef. It’s then thickened with a puree of squash, carrots, and other cooked vegetables. You can accompany the soup with rice or avocados. Yum! During our stay at Hodelpa Nicolas de Ovando, Chef Martin Omar gave us a little cooking lesson on how to prepare this soul-warming soup. The sandwich is a universal food. Everywhere you go, you can easily find it. So, What’s so interesting about sandwich Dominican Republic? Well, the interesting part is, every place makes it differently. In the Dominican Republic, sandwiches are prepared with baguette and of course, loaded with delicious meat. You just have to try it. Some people like to compare coffee when they visit other countries; I like to compare sandwiches. 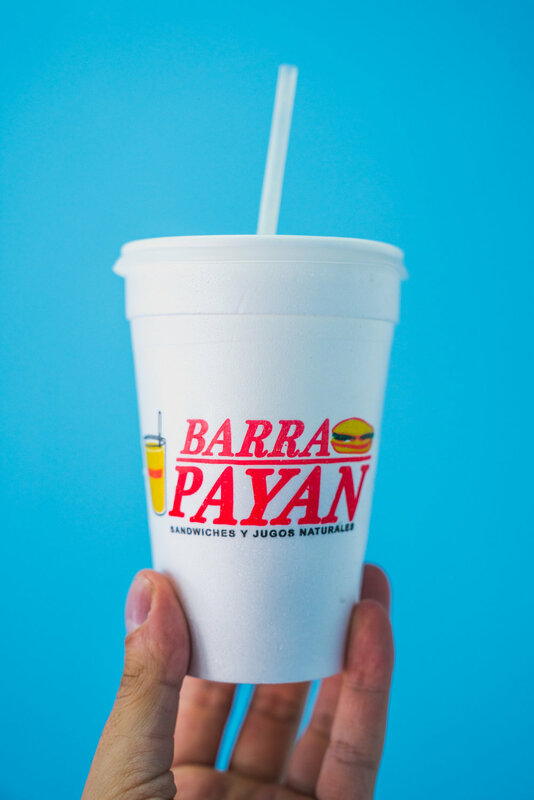 We had some delicious sandwiches at a local spot: Barra Payan. If you are familiar with the Hispanic cuisine, you will know empanada is near and dear to Latin America. But if you don’t know what it is, you are missing out. Empanada is a tasty pastry filled with meat or cheese. Depending on the country, empanadas can be fried or baked, made with wheat or corn flour. In some places where you can get your empanada to-order, they will crack an egg inside before sealing it – gooey yolk goodness! Also, make sure to try pastelitos – the smaller version of empanadas and the ultimate finger food. If you are a fan of fresh fish, head to the beach of Boca Chica and have a Pescado frito! In the morning, local fishers venture into the water and bring back lunch for locals and visitors alike. Make sure to accompany your fish with white rice and patacones! Did I mention Dominicans love coconuts? Another must-try in the Dominican Republic is the Pescado con coco or Fish with coconut sauce – My mouth waters just thinking back how delish this dish was. 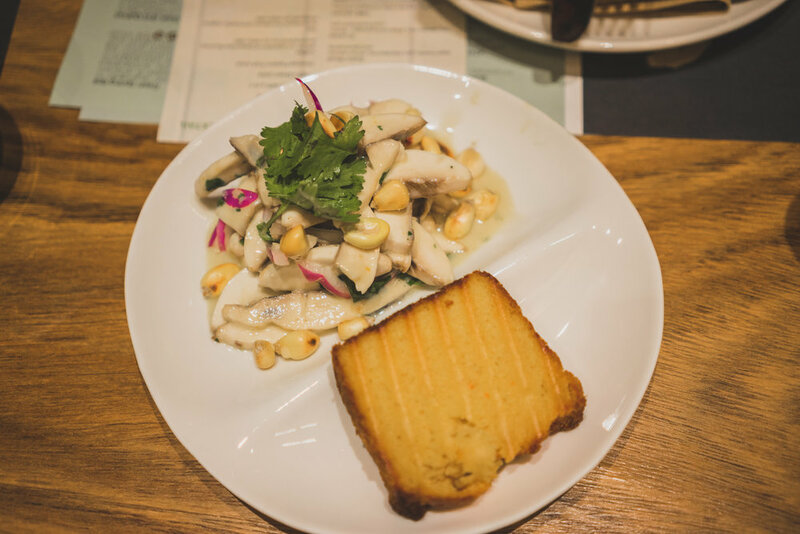 If you are a fan of coconut and fish, you can’t go wrong with Pescado con coco. 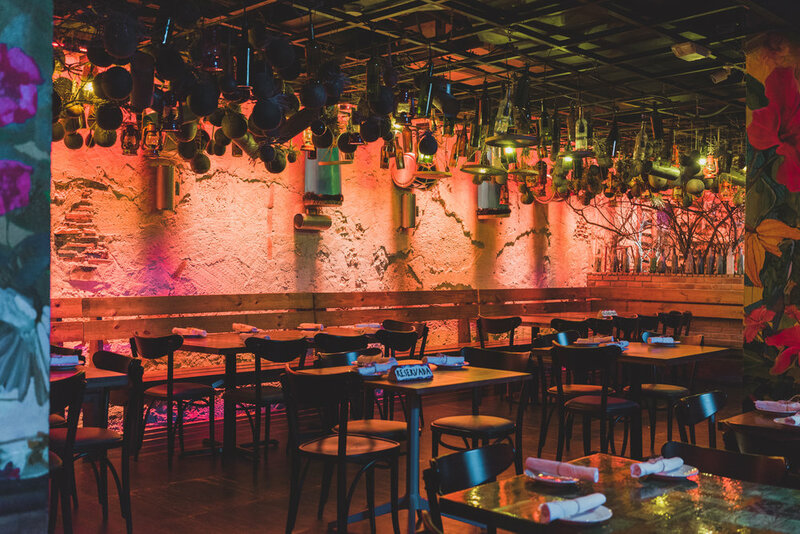 For a colorful and flavorful dining experience, try it at Jalao in Santo Domingo. Vegan friends avert your eyes! This section is for the meat lovers. If you want to try some excellent roasted pork, Dominican’s streets are the best place to find them. Driving from Santo Domingo to Puerto Plata, we encountered many stands preparing some mouthwatering pork – literally on the side of the road. On one of our roadside stops, we succumbed to the smells of the smoky feast. We couldn’t help ourselves, so we tried some of the pork. And let me tell you, it was delicious! The meat was perfectly seasoned, tender, and smoky. Goat may not be your go-to protein, but in the Dominican Republic, it’s a must. Chivo guisado is a delicious goat stew full of flavors and tender meat. 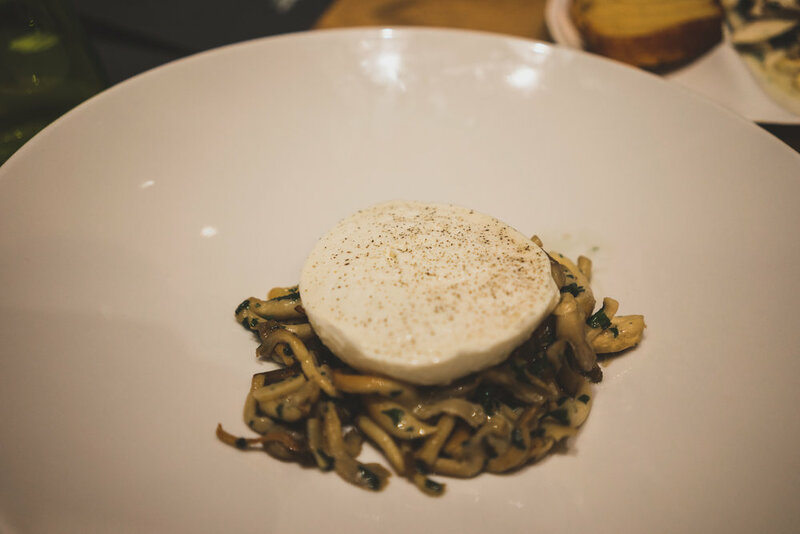 I had it in a few restaurants – that tells you how much I liked it – but the best place was at Meson D’Bari in Santo Domingo. The stew is usually served with white rice, plantain, and beans – mix them all up, and it will have you coming back for more! 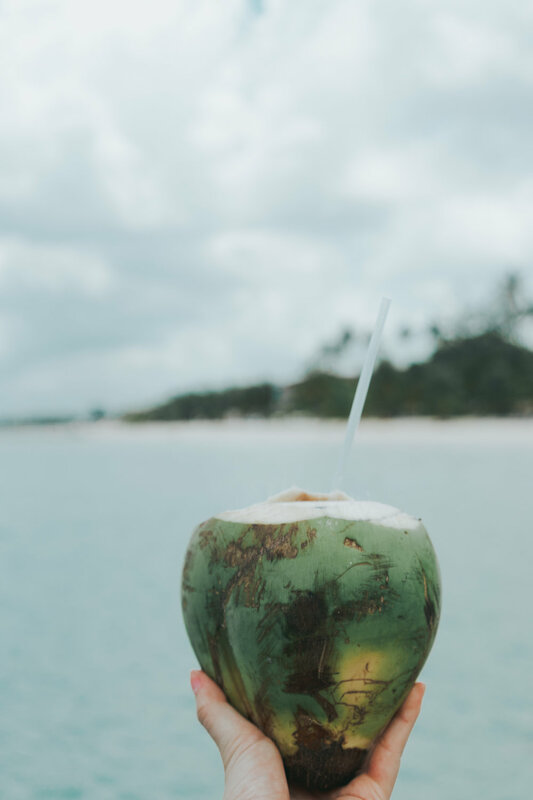 Coconut lovers’ bonus round – With an abundance of coconut, Dominicans have integrated this fragrant fruit in every aspect of their local cuisine. You will find it in savory dishes and many desserts as well. The use of Coconut in dishes was started by a group of immigrants called Los cocolos in the XIX century. Today, it’s an integral part of the Dominican traditional cuisine. 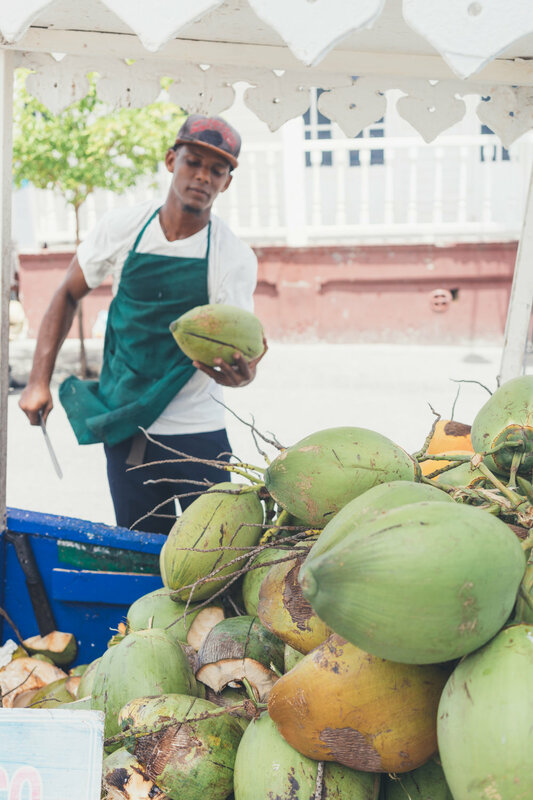 To find the best coconut sweets, stop by a local bakery or a colmado – Dominican’s convenient store. On my first day, I stopped by a bakery, frequented by locals near our hotel – Maria La Turca. Many tourist places in the Dominican Republic accept credit cards but always keep cash handy. Dominicans love their meats but fear not. Vegetarian options are popping up in Santo Domingo like this restaurant: TIME Vegetarian Kitchen. Don’t come here expecting some sad salads, their dishes are creative and packed with flavors. It’s truly a crowd pleaser vegetarian or not. Unfortunately, I did not get to try these dishes. But they were highly recommended by locals, and they are very popular as well, so I thought they were worth mentioning. La Bandera (The Flag) – The national dish and your all-in-one meal – white rice, meat, and beans. Casabe – Inherited from the Tainos, Casabe is a patty made from yuca. Mofongo – I tried this in Puerto Rico, but you can also find this smashed plantain dish in the Dominican Republic. Pica Pollo – Dominican fried chicken, seasoned with special Dominican oregano. Asopao – I got to try a little bit of this from someone who had ordered it. It was like a seafood jambalaya. Yummy! Pastelón De Platano Maduro – This is basically plantain lasagna. I have only tried the Cuban’s version, but I’m all in with anything that has plantain in it. Have you tried any of these dishes? Let me know which one was your favorite or which one I should try next time I visit! Note: A few of the photos were taken by photographer Nick Argires. If you would like to know which one, hover over a photo and a banner will slide up. Go check out his website and Instagram and say hi!